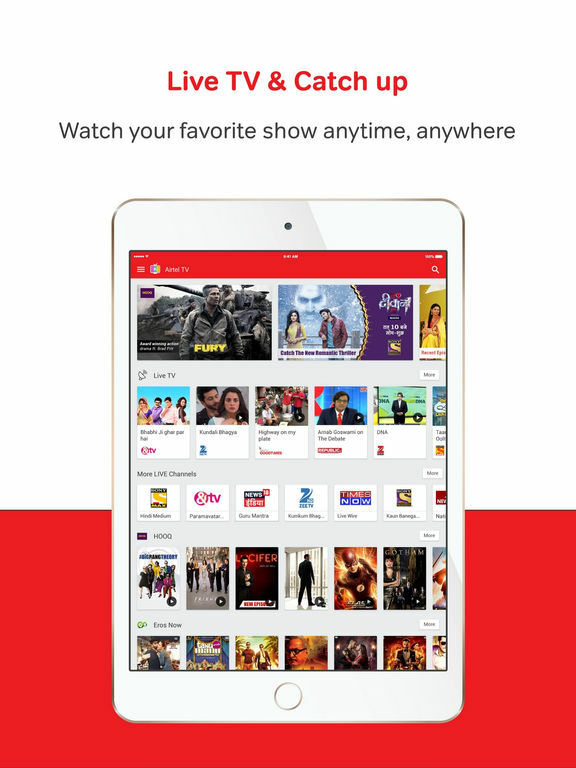 Airtel TV now offers free content till june 2018.
app on Android and iOS platforms. The app's refreshed catalogue of over 300 live TV channels and 6,000 movies and global TV shows will be made available on a free subscription basis to Airtel prepaid and postpaid users, until June 2018. Commenting on the launch, Sameer Barta, CEO - Wynk said, "We are thrilled to introduce the latest version of Airtel TV with great content and an improved, intuitive User Interface. The improvements to the app are a result of constantly listening to our customers and taking their feedback to the design table. We believe that we have built an app for India's needs and backed it with a large and exciting content catalogue to serve the fastest growing screen - the smartphone."